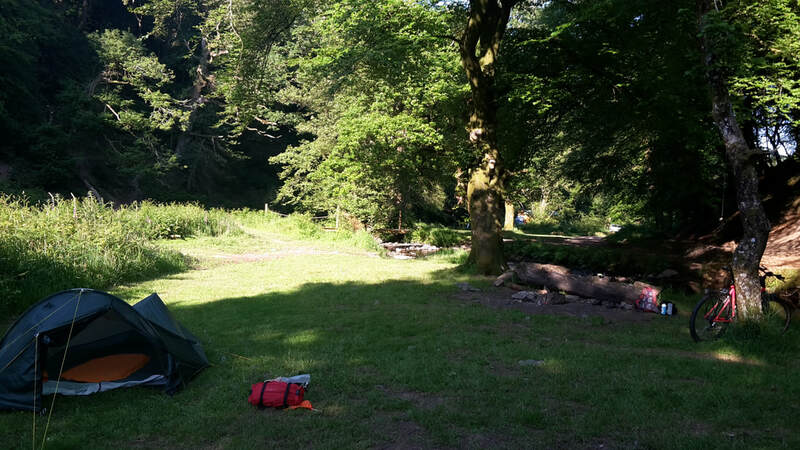 This will be my third year attending the South West Outdoor Festival (SWOF), a festival for adventure lovers that tours around the South West and is happening this year on the 5th - 7th October in East Soar, South Devon. Ever year, SWOF has been my favourite festival and I'm going to outline why I'm so excited. 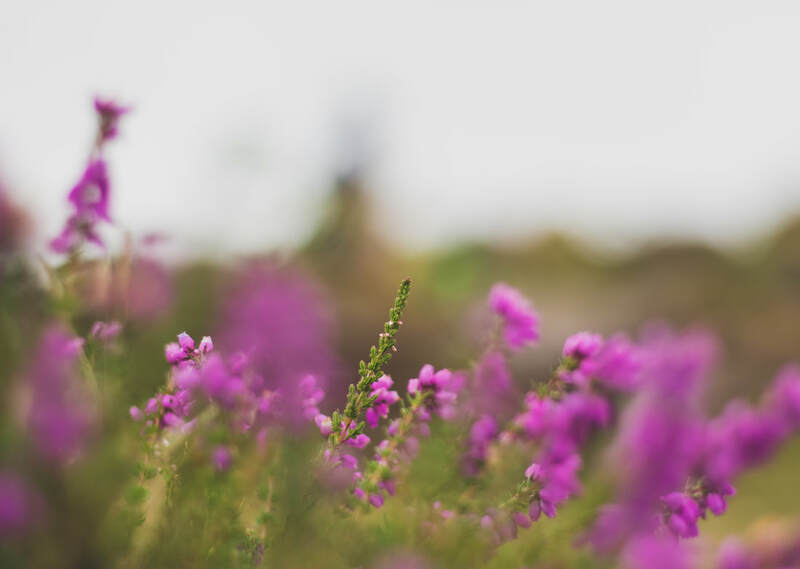 As the festival is run by the National Trust, the locations are always idyllic and show off some of the best spots in the South West. 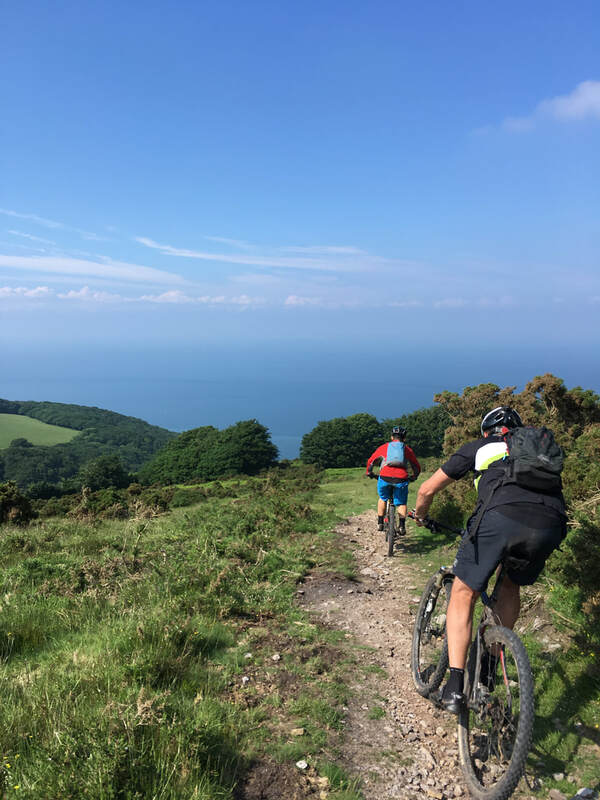 In the first year at Heddon Mouth in Exmoor the mountain bike ride went out from the festival site, along the sea cliffs and to the epic valley of the rocks. 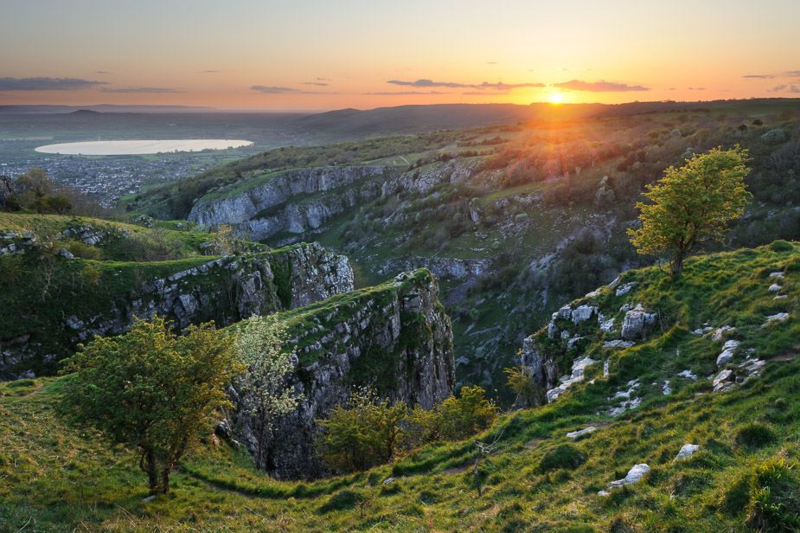 The second year on top of Cheddar Gorge was, well, it was on top of Cheddar Gorge! 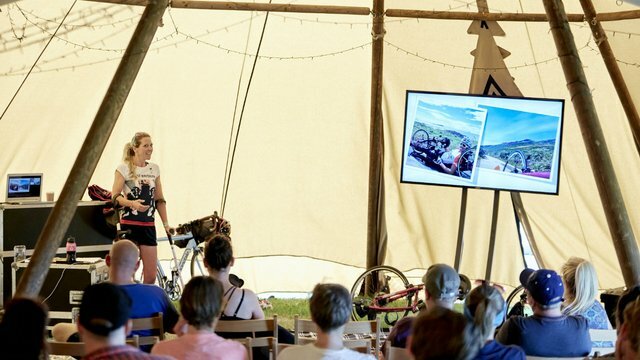 Speakers who I have seen at the festival have included Sean Conway, Monty Halls, Dave Cornthwaite, Anna McNuff, Jamie McDonald and Tobias Mews, to name a few. All with epic tales of adventure to share to inspire you to get creative and push yourself. From skateboarding across the UK to dressing up as a crocodile and running the South West Coast Path. If you want inspiration for adventure, this is the place. There's been some cracking music over the years to get the hips wobbling in the evenings. 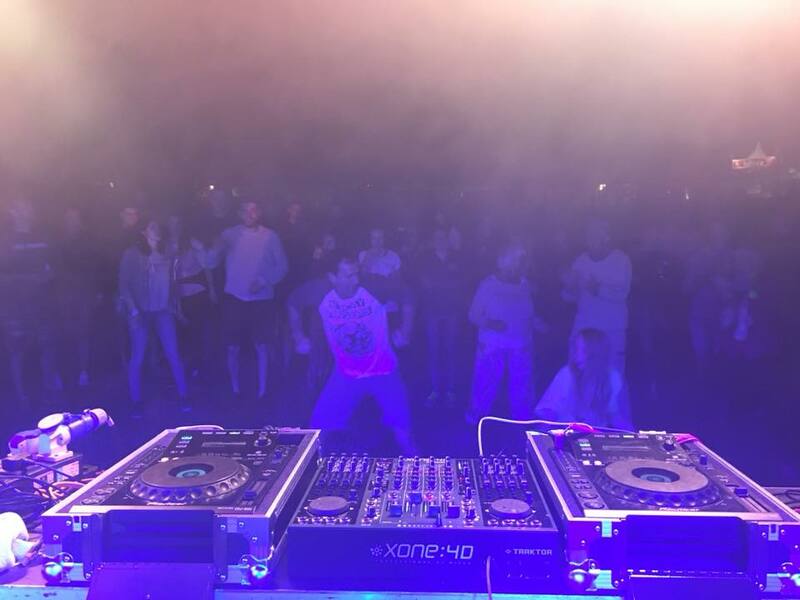 From the South West's most loved jam man DJ Dan to bands such as Crinkle Cuts and Sam Green & The Midnight Heist, that I'd describe as absolute gems I'd never heard of before but are now regularly playing in my van. Yes, that is a picture of me dancing in the front row with a 10 year old and my 70 year old parents behind me. All ages welcome on the dance floor! Please oh please may those heaven sent men provide me with more onion bhajis again this year! The bhajis are so good Hugo ran an impromptu trail marathon to get one for free. At the last festival they brought a tray of leftover bhajis onto the dancefloor. ​Let's start with some juicy facts. 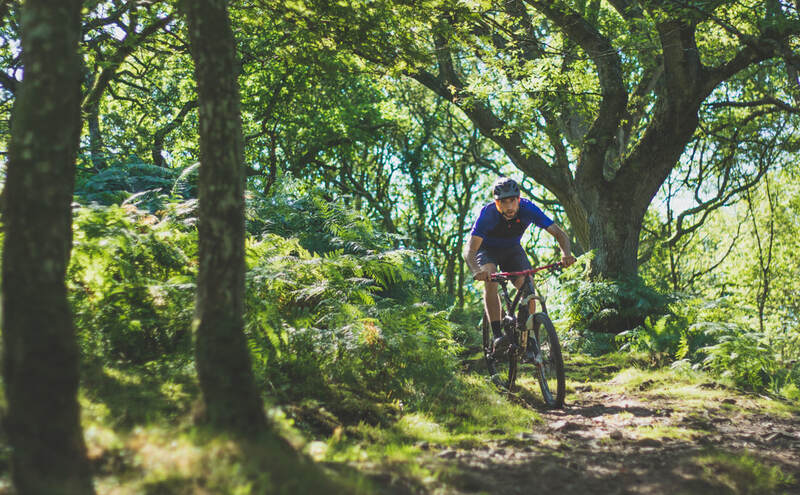 The Quantock Hills were the UK's first designated Area of Outstanding Natural Beauty and offer mountain bikers a magnificent variety of terrain to ride, from scenic tracks up high on the heath to flowing downhills in the deep forests of the combes. The Quantocks are located one hour south from Bristol and one hour north from Exeter, forming the western border of the Somerset Levels. The Quantock Hills have been home to the famous works of S.T. Coleridge, Williams Wordsworth, Shelley and Edward Thomas. The poets became famous for attempting to capture and share the magic in these hills through their art. 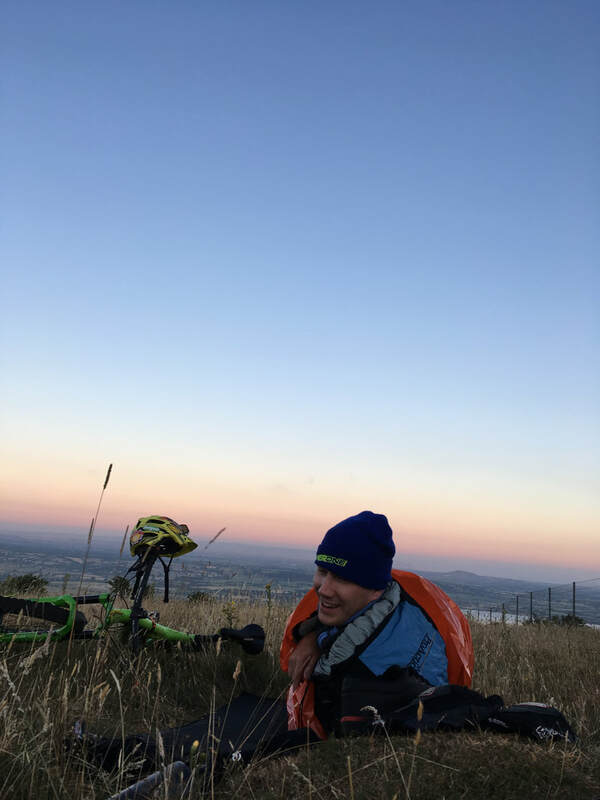 Which must have been a frustrating job, because like we all know when trying to describe the flow of a mountain bike trail, words will never be enough. You gotta feeeel it. 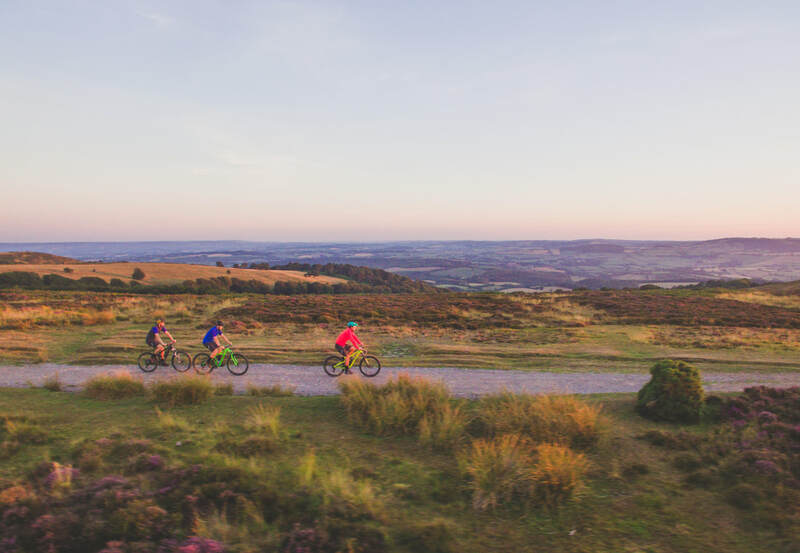 From the top of the hills on a clear day, you can see across the Bristol Channel as far as the Gower Peninsula in Wales to the north, the Mendip Hills to the east, the Blackdown Hills to the south, and the Brendon Hills and Exmoor to the West. 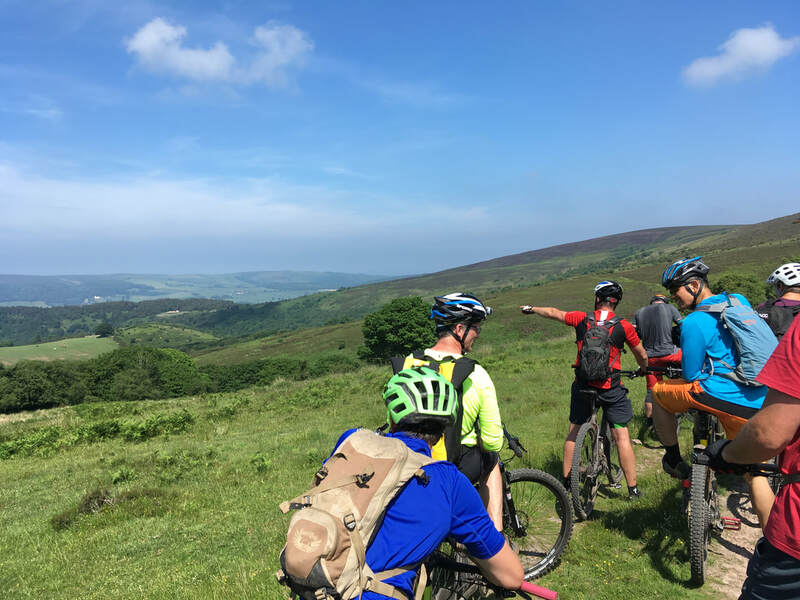 The bridleway running 20km along the top of the hills is a beautiful ride for a cyclist of any experience and makes the Quantocks a perfect location for sharing your love of mountain biking with family and friends. 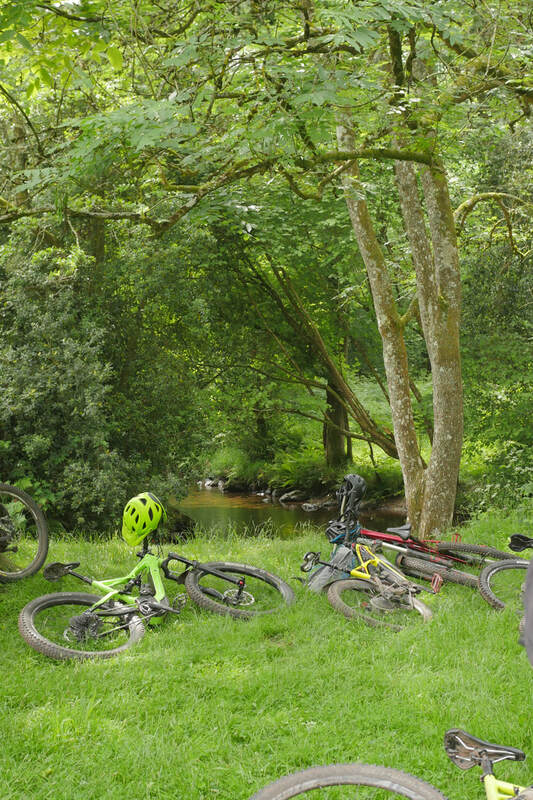 The leafy bridleway connects up all the combes and car parks, ideal for easy navigation. If you're thinking 'I'm a gnarly flow dog, show me the naughty stuff', then the Quantocks can provide you with everything you need. Hidden in the magical combes is the flow dreams are made of. 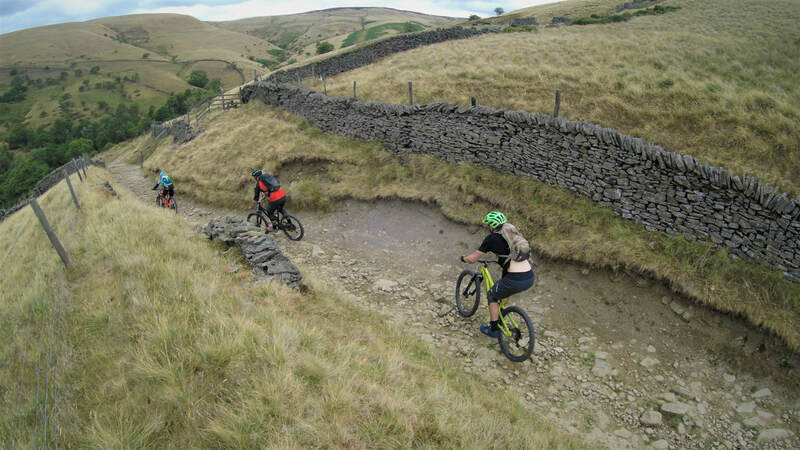 You can ride to the soundtrack of trickling streams, surrounded by ancient woodlands. You begin to understand where the likes of Wordsworth got his power from - it may or may not be worth packing a quill in your ride bag. Check out the likes of Triscombe, Bin Combe, Frog Combe, Holford Combe and Smith's Combe. There are ample places full of character to stop and eat, including the Carew Arms in Crowcombe (which is the only pub we've ever been into with a homemade bowling alley) and the Combe House hotel. 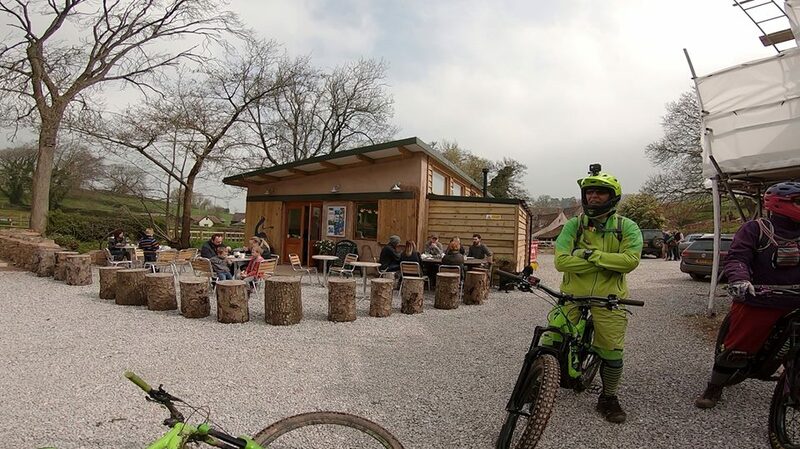 However our personal favourite is to visit Kate and Mike's beautiful garden cafe straight off the end of the trail at Holford Combe. They serve tea, cakes and meals prepared fresh from their garden if notified in advance. 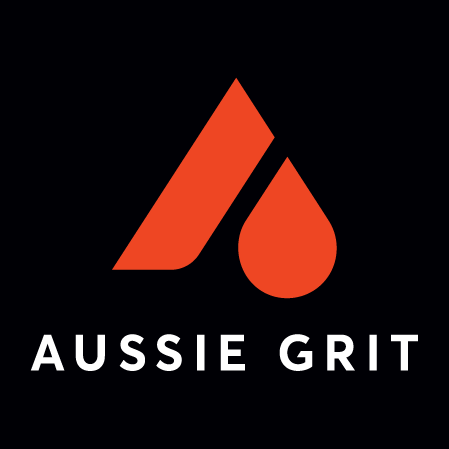 ​Aussie Grit Apparel is an Australian start-up spearheaded by former Formula One driver Mark Webber. 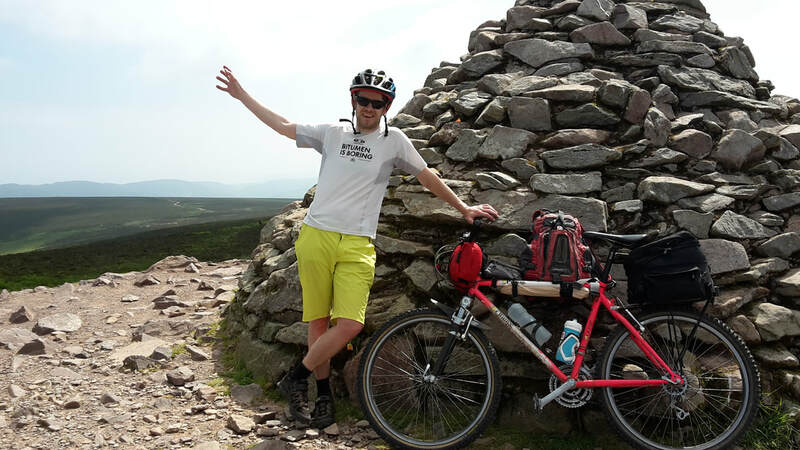 Like Mark, we are passionate about the benefits of training and being in the great outdoors. 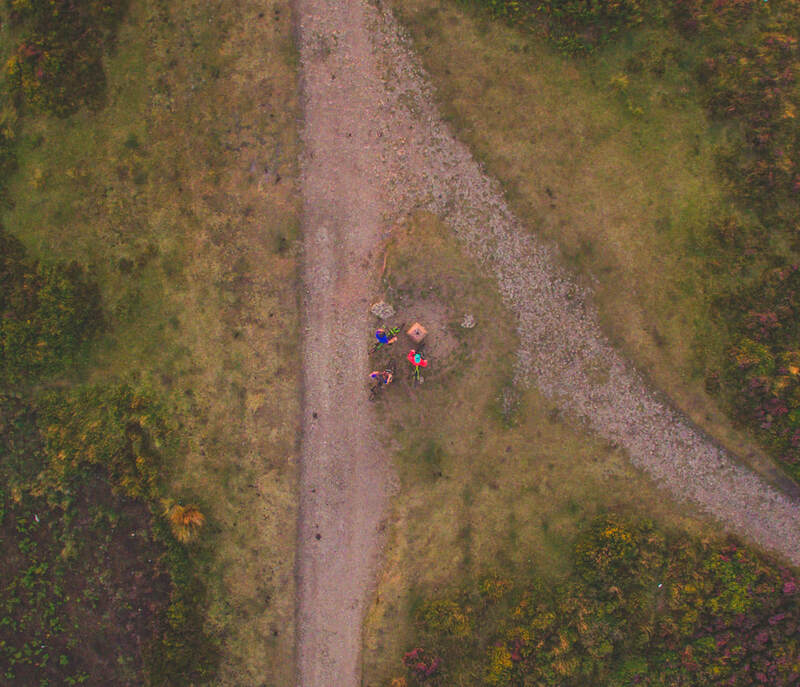 It’s what we describe as being ‘connected to nature.’ Our goal is simple. 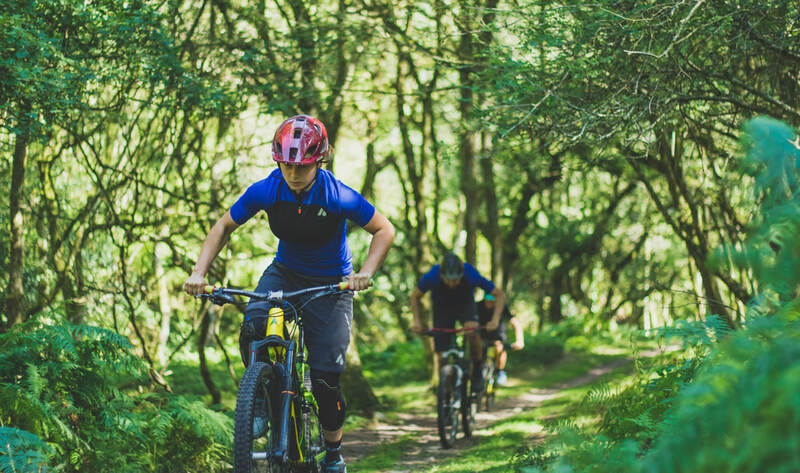 To create truly functional off-road cycling and trail running gear for men and women. Our apparel is designed specifically with an absence of negatives in mind. No ifs. No buts. Just high quality, considered products that look good and are designed by an experienced team who leave no stone unturned. Visit the website. 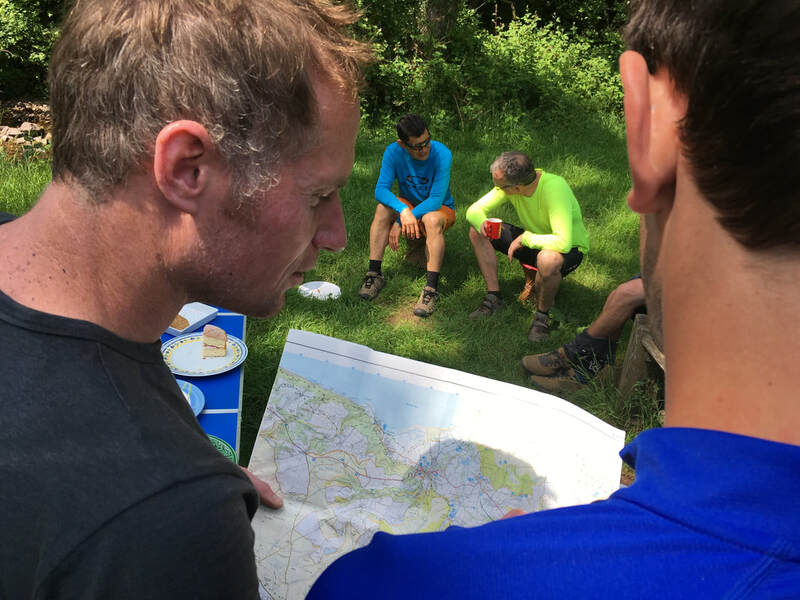 After a winter spent dreaming of dusty trails, Trail Unknown started the 2018 summer season off with a guided weekend linking some of the best natural trails the UK has to offer in the hilly heaven of Devon that is Exmoor National Park. 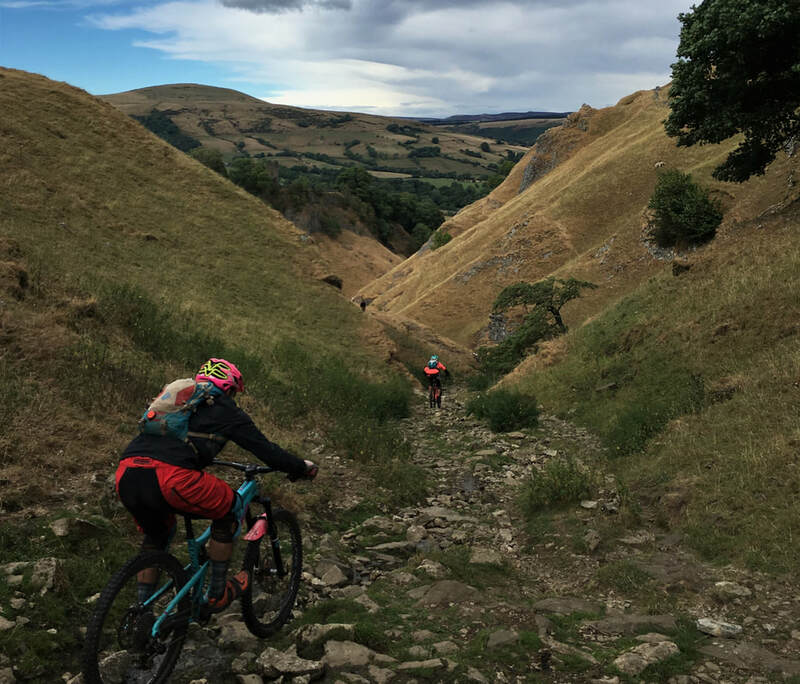 ​The idea of Trail Unknown is to find an amazingly beautiful area in the UK such as a national park or area of outstanding natural beauty, where we know there is a mysterious maze of magnificent single track. We put on a professional local guide who knows how to link the most talked about and least talked about tracks in the area. 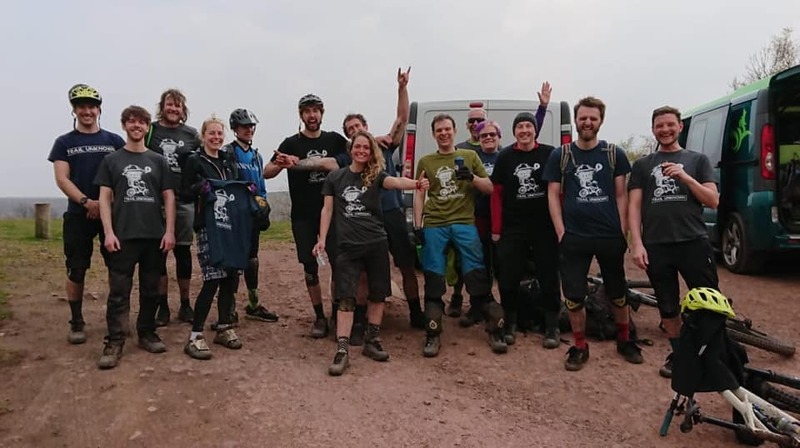 We get a load of awesome riders to join us who are supposedly customers but feel like mates, provide lunch from local produce and enjoy a full weekend of the best riding ever with not a worry in sight. 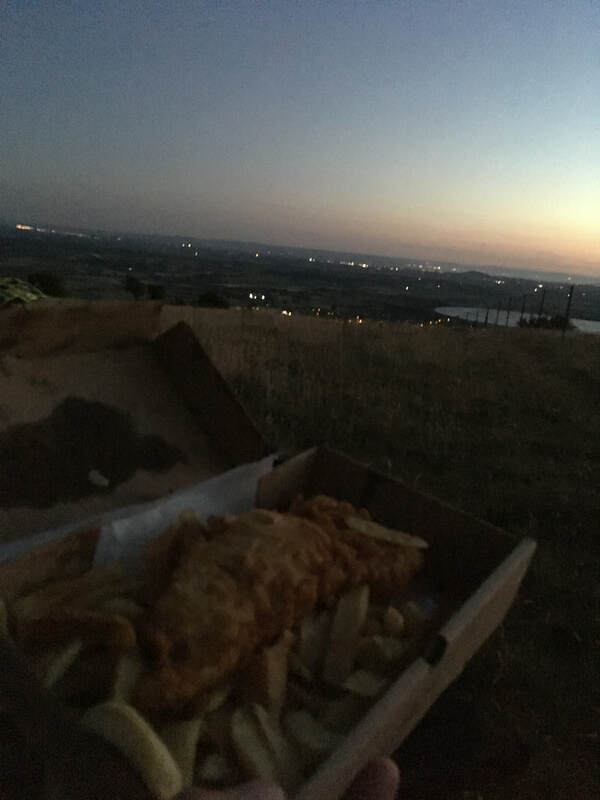 ​ We even throw in a cheeky uplift from a local farmer sometimes. For 50 squidders a day, you can't go wrong. 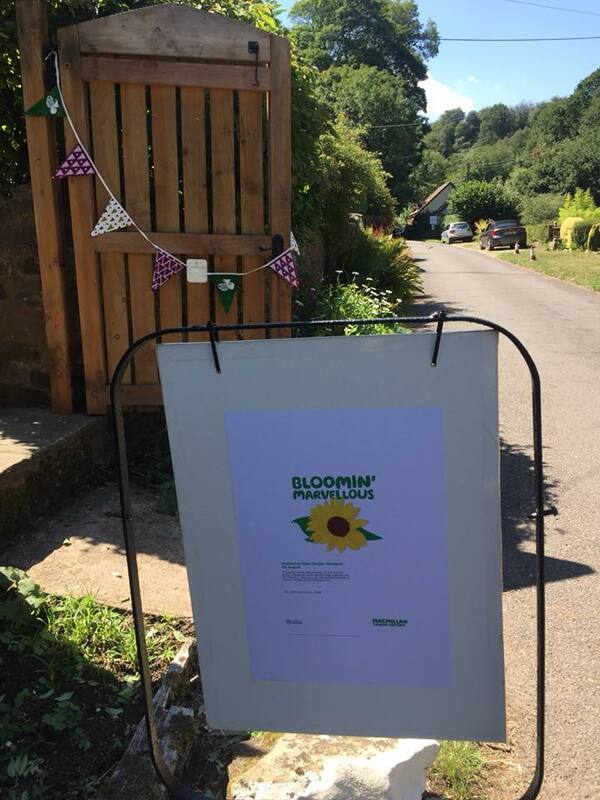 It all began on Friday morning, meeting in the quaint English town of Porlock. 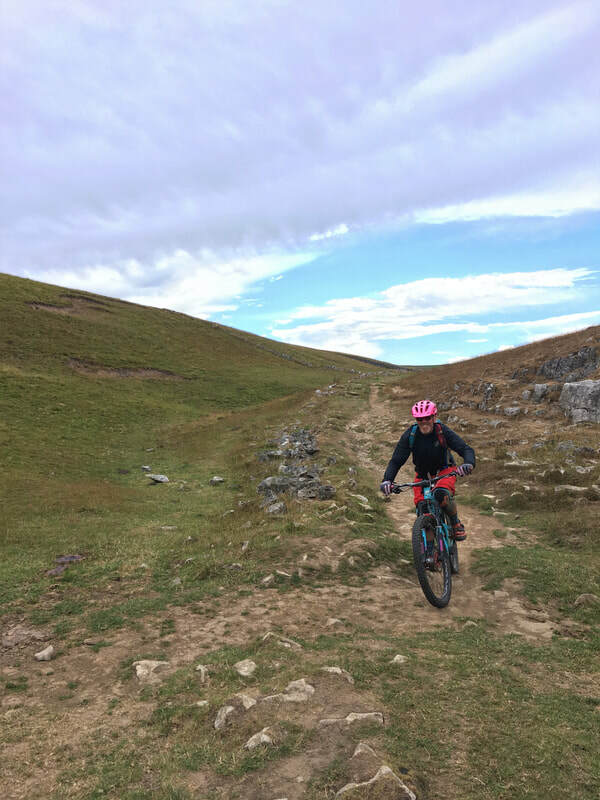 Now if you've never been there, you must think of mega old pubs, colourful tea houses, little cottages, sea views, friendly old people who make delicious cheese and cider, deer, the second highest point in the south of England, soo many trails, and dreamy combes. A combe 'is a short valley or hollow on a hillside or coastline, especially in Southern England.' 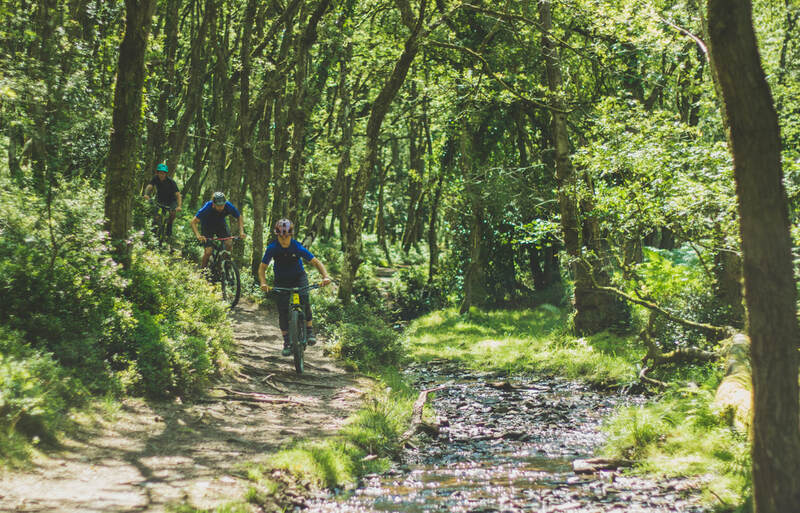 Exmoor is full of magical combes that twist and turn with the hill, where the ancient woodland is epic and the ground is just like the best ground ever to ride, so loose and yet with so much grip. Oh baby, it's all about the combes.. 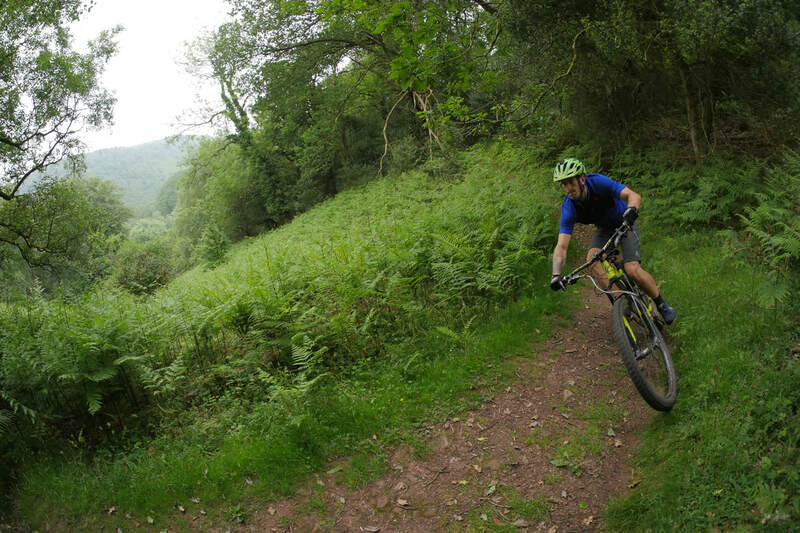 The riding in Exmoor is such a treat and blessed by over 500 meters of altitude at the legendary Dunkery Becon. 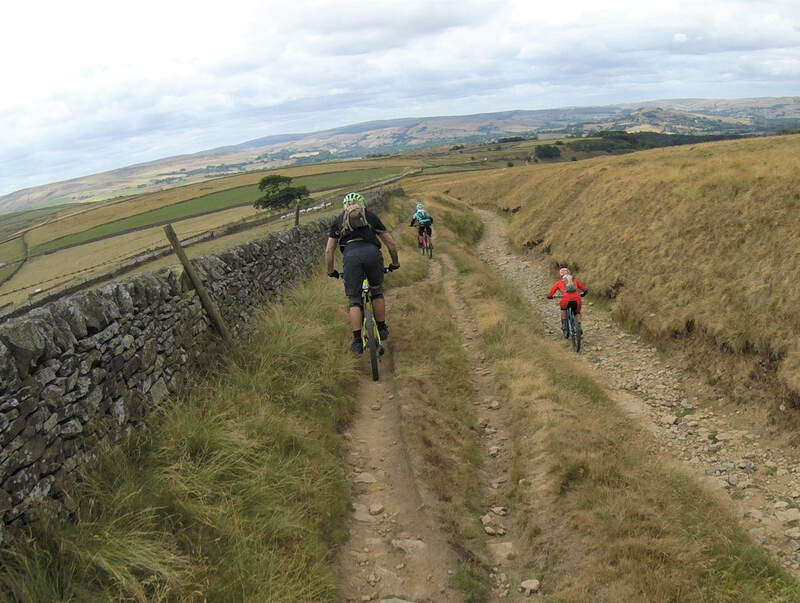 From there you have a huge selection of sweeping trails from the open moorland that take you all the way down to sea level, through many a combe and sometimes with a few cheeky stream crossings that are always a fun challenge. After a morning enjoying the hills, what more could you want than to turn up to a serene spot with lunch laid out ready for you? Because that's the kind of service you get with Trail Unknown. Cake and all. Where else could you finish the weekend but at the tea house for some scones, clotted cream and jam. 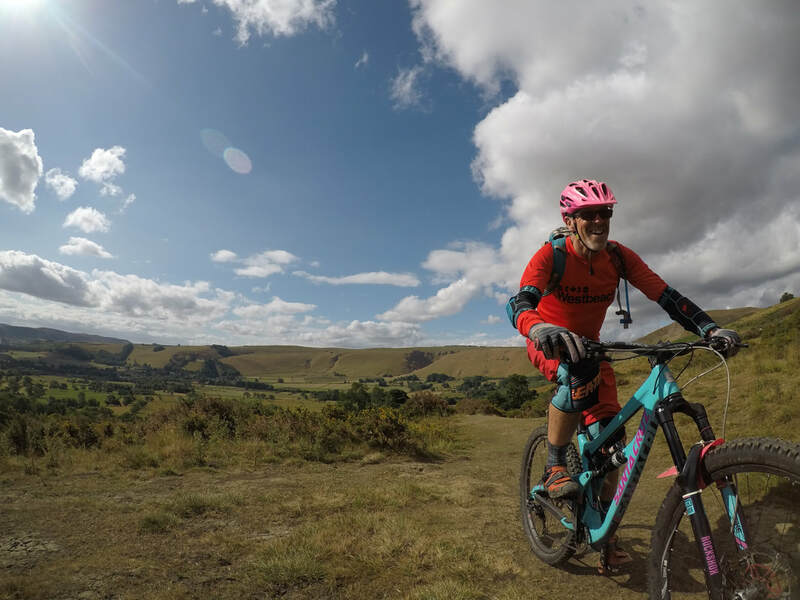 A massive thank you to Dan French for a fantastic weekend of tasty trail selection, to Mark Brewer at Exmoor MTB Uplifts, to Joey Millward at Millward Media for the pics and videos, and to everyone who came and made it one of the best Trail Unknown weekends so far. If you'd like to join us on our next trip, see our dates below. 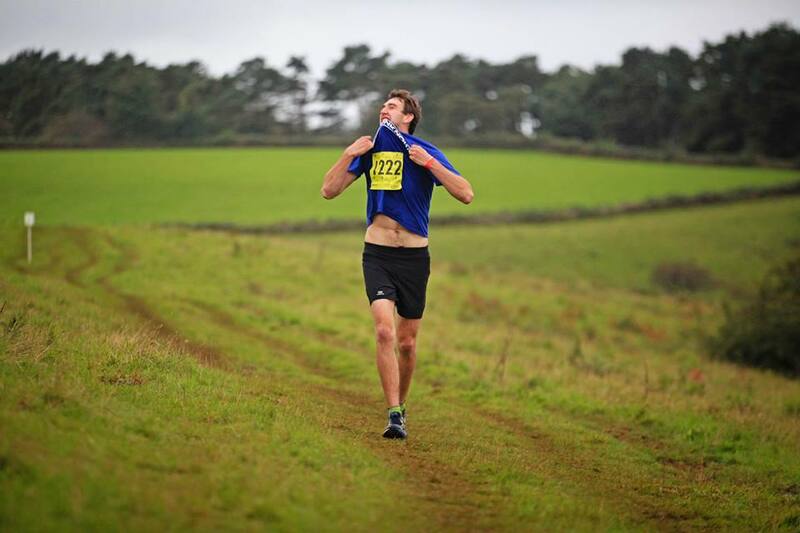 Running a Trail Marathon for a dare with no training..!? 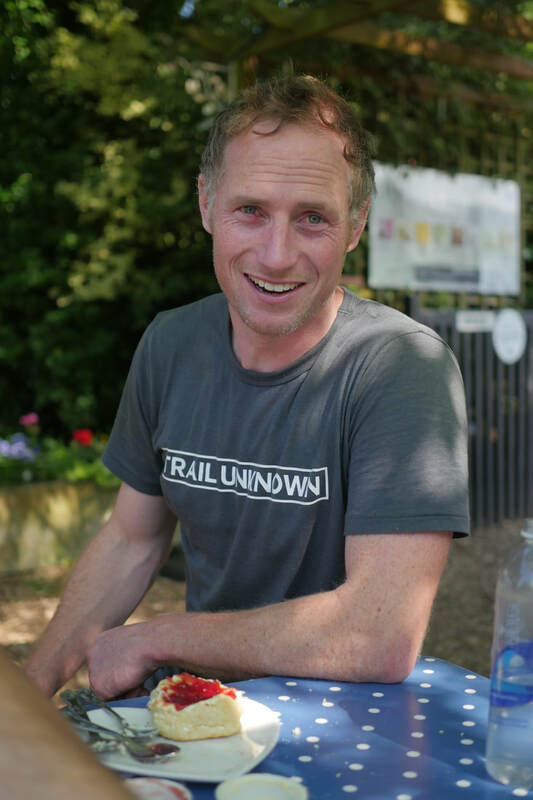 At last year’s South West Outdoor festival, Hugo was so inspired by Jamie McDonald's talk on running across Canada that - having never run more than 6km before - he borrowed a pair of shoes two sizes too small and ran a full trail marathon on Sunday up and down Cheddar Gorge. Respect. ​Read Hugo's full story below, it's ridiculous. Being easily influenced is not a great trait for protecting your family’s honour. 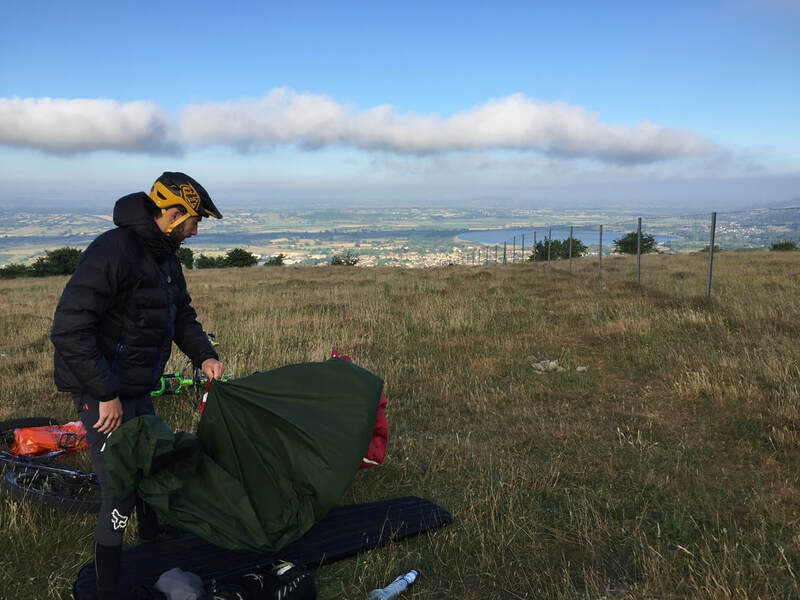 Sadly, at the South West Outdoor Festival 2017, I was that man. There we were, fresh from having thrown majestic shapes to the 7 piece ska band Crinkle Cuts, we decided to settle round the fire. The inevitable happened and I woke up confused with Marathons on my mind. I found an undefended can of beans and set off in search of running shoes. 1x pair of shoes that were two sizes too small later, I found the organiser man who gave me a free entry because there would be no way I would finish..thanks again Relish The Great Outdoors. I settled in for my pre race poop having just signed up to race. To my horror, the gun went off and I burst out of the portaloo pulling up my trousers to get stuck in. The crowd were on hand to laugh at me and point me in the right direction. I died a little inside. But I was still excited, ambitious and full of the desire to get this over and done with. And this was only 15 minutes in. 6 hours later I was a changed man. But heading across the finish line. Broken, full of self loathing, and boasting the only case of a 23 year old with rapid onset arthritis and joint failure. Like an angel from the mist, my bhaji man emerged (everyone else had left). Soggy and dissappointing to most, it was the greatest thing that had ever and will happen to my mouth. I ate. I cried. I regretted. I would do it all over again, a thousand times over. 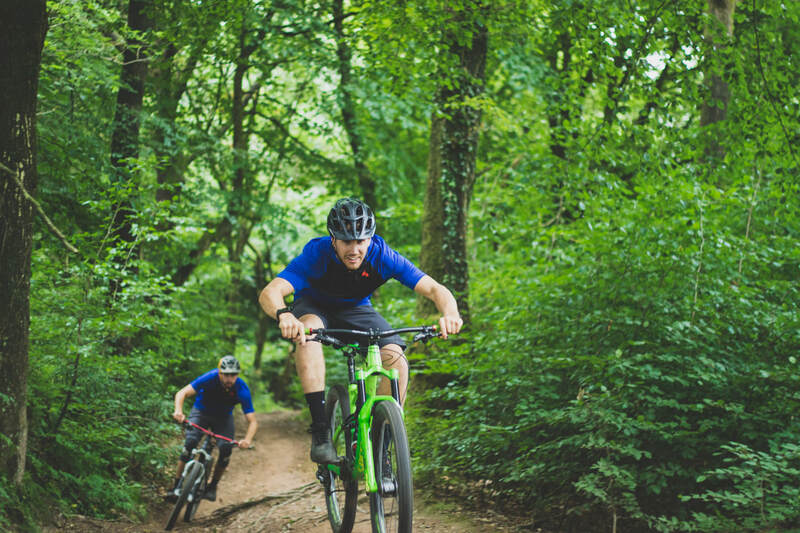 Hugo and I will be at the Top of the Gorge festival this year doing mountain bike skills sessions and encouraging people try out our mountain bike challenge course! 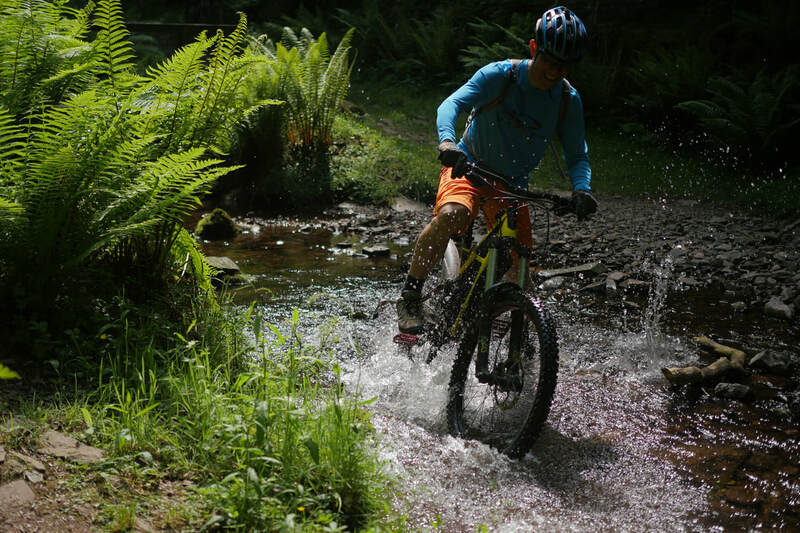 Use promotional code TRAILTEN for a 10% discount to the Top of the Gorge festival 22-24 June, or code TOTG1 for a free tshirt. 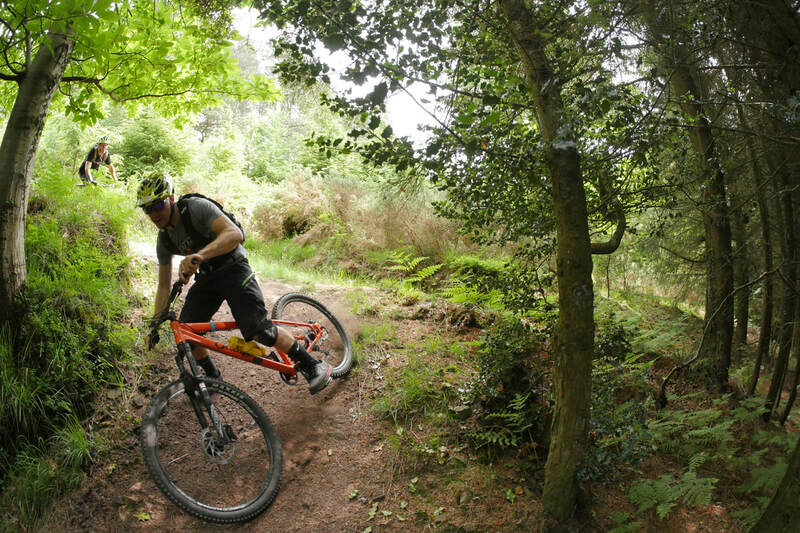 I often love to ride without earphones in and enjoy listening to the sound of the birds singing, tyres ripping, Hugo whooping or even to take a moment to appreciate the deep quietness of the forest. But then there are other times, where the sound of sweet, sweet music in my ears is perfect for keeping my legs spinning and my heart boogeying! This is the kind of music that makes me fall in love with music. I’m riding my bike with the wind in my hair, no hands on the bars with no care, air guitaring till the cows come home. I’m dreaming of summer colours and dusty trails, exploring on road trips and warm evening rides. Watching these three Devon boys play in Exeter, I could feel their energy in their cheeky faces and closed eyes bursting through their instruments. Before I knew it my hips were wiggling! Love the music vid featuring their grandparents! Catch the boys next on April 5th in the Exeter Cavern and 7th at London Camden Assembly. Coupling the angelic voice of the female lead singer with the naughty sounds of live dub, ah yeh these guys are a lot of fun! They get into dub flows that I wish would never stop. 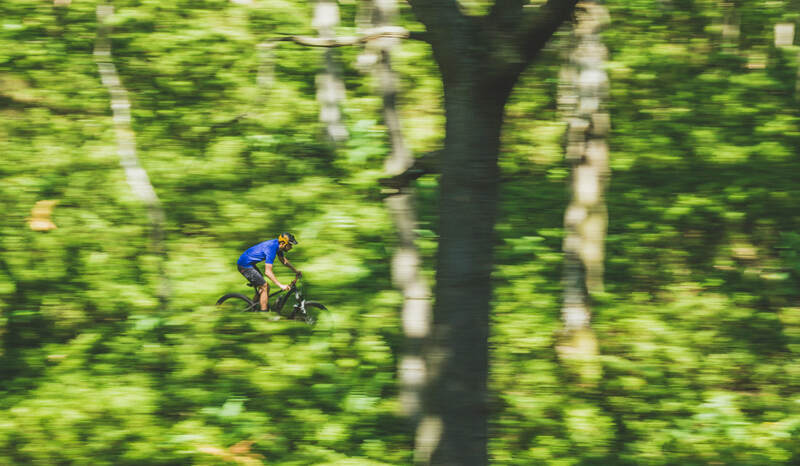 Reminds me of how I feel when I’m riding my bike down a flowy trail. When you’re just in sync with life. I love listening to FKJ when I’m out for longer rides with no intentions and no worries, just enjoying what the trail presents to me. 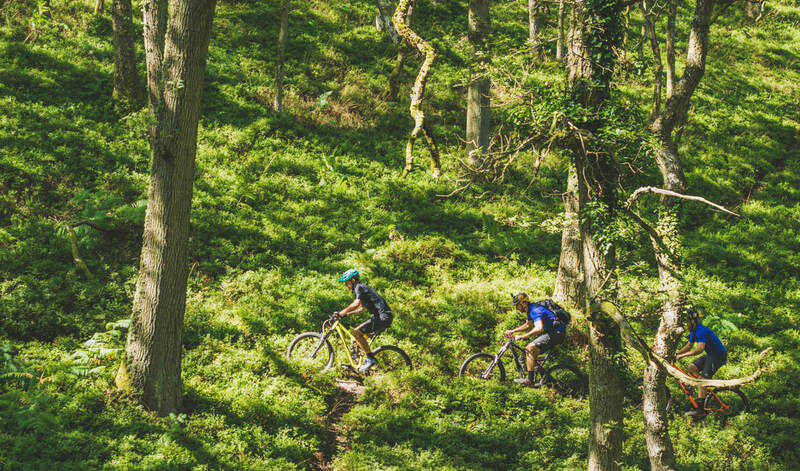 It doesn’t make me want to do anything crazy but it just puts me in a state of mind where everything little hump, bump, tree and badger is all an essential part of the pleasure of the ride! That’s all for now folks. 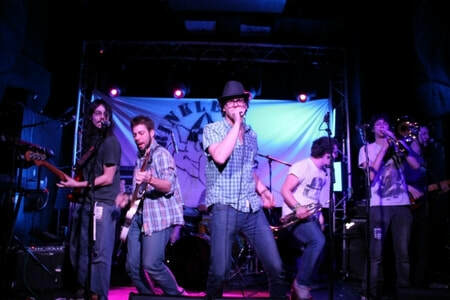 Keep supporting your local live music venue and bands! 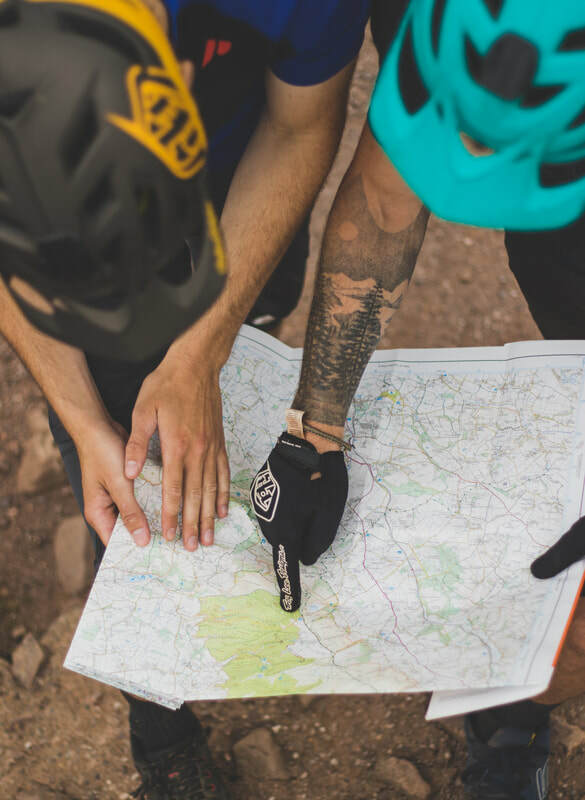 Make sure you know what guided mountain bike trips we’re running this year and enjoy riding your bikes to your new music. 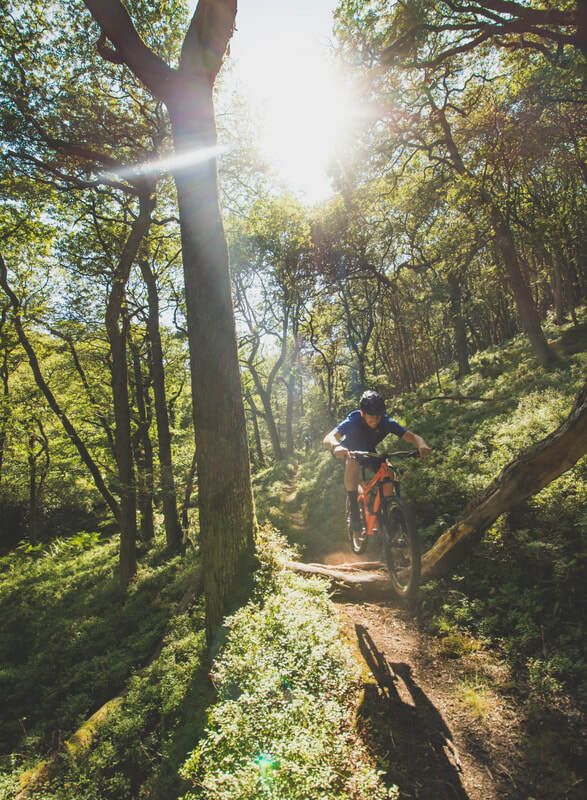 For this installment of our 'Through the eyes of local' blog series, we asked local rider Jacob Martin what he loves about riding the Pembrokeshire National Park and why it is definitely worth a visit with your bike. 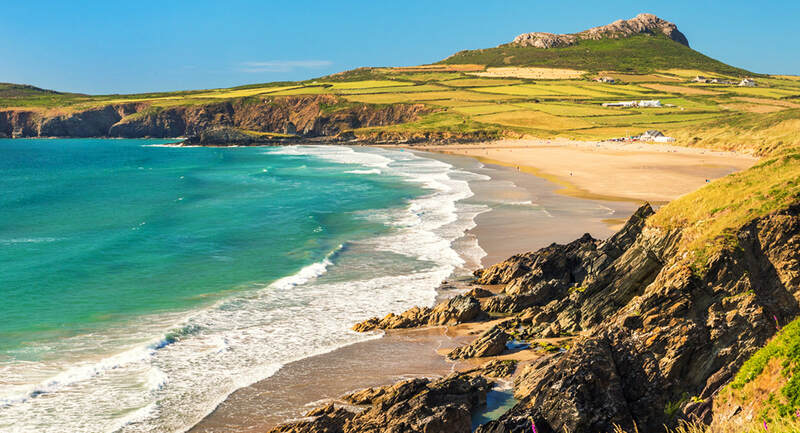 Pembrokeshire is a county on the far west of Wales, surrounded on three sides by the sea, it is famed for its spectacular coastline and boasts the country’s only coastal National park! 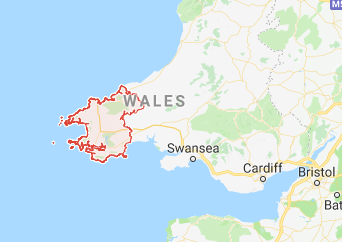 However there is a lot more to Pembrokeshire than this. 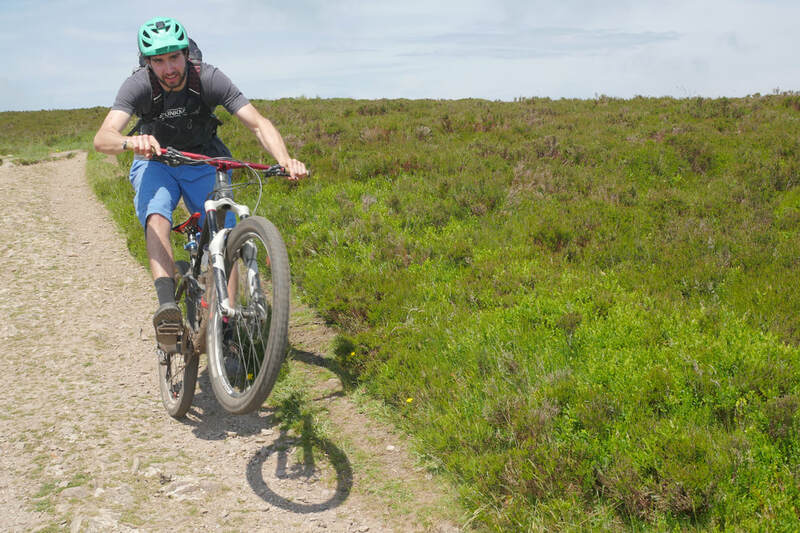 ​For some reason many people don’t know of the amazing mountain biking that is on offer in Pembrokeshire, I guess they’re just looking in the wrong places. ​From all across the county on any day the cloud has lifted high enough you can see a long set of unique hills. The highest point stands at 536m above sea level and one of the rocky outcrops about half way along was found to be the origin for some of the stone used to build Stonehenge. 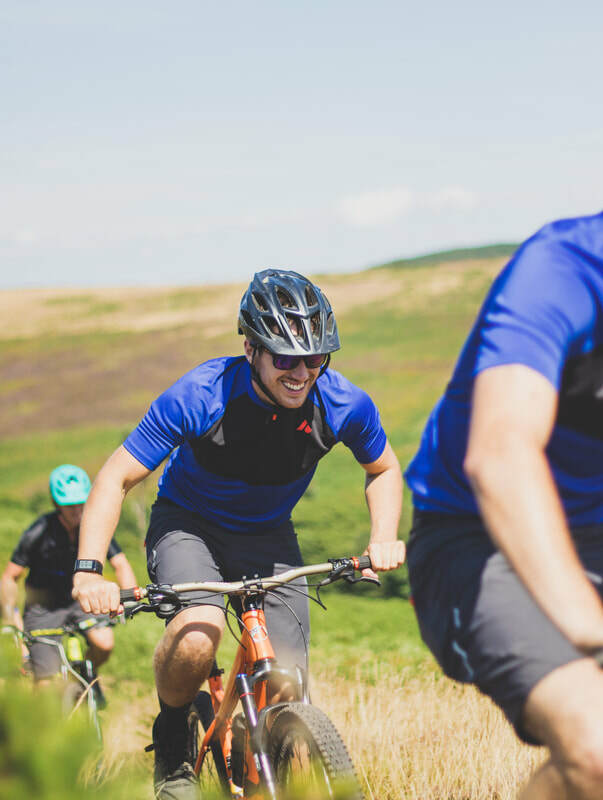 The Preseli Hills, or Mynyddoedd y Preseli as they are known in Welsh, are the home to some amazing cross country mountain biking which ranges from fast flowing natural singletrack to technical rocky climbs. 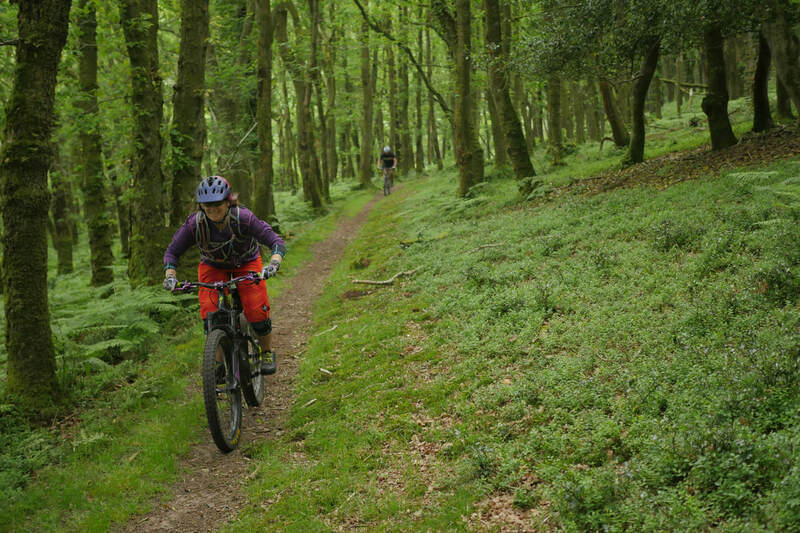 This riding is on the bridleways and forest tracks that lace the hills and nearby Gwaun Valley. 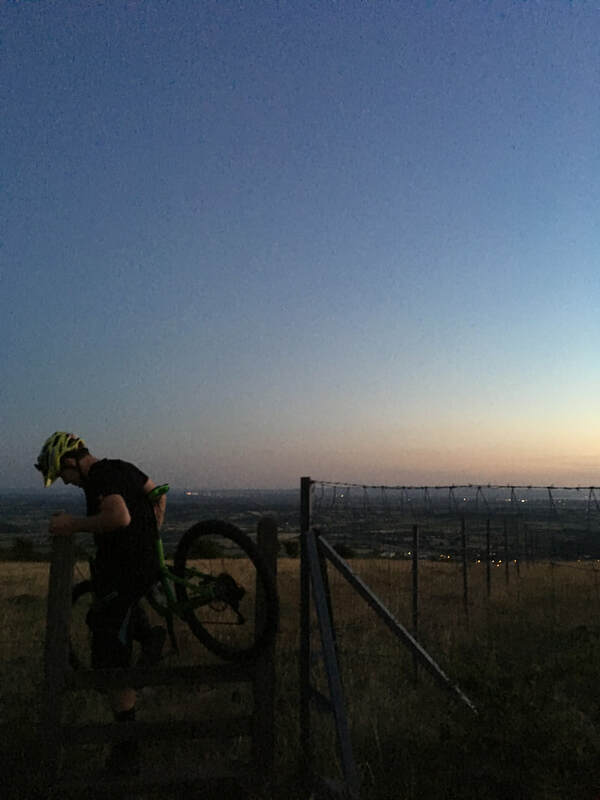 For those of us lucky enough to live nearby there are some great rides to do for an evening but there are also plenty of longer rides that can fill your day. 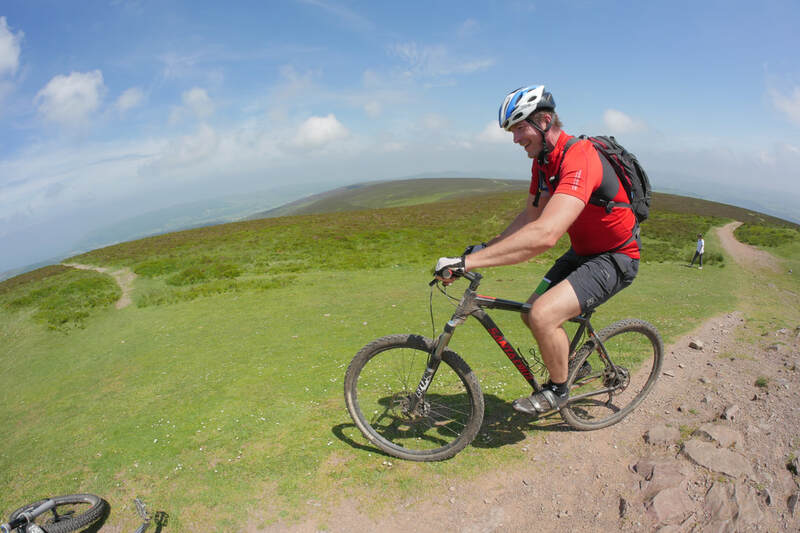 The ridge ride is a nice ride that takes you from one end of the Preselis all the way to the other with views all the way to Snowdonia and even Ireland on the clearest days! 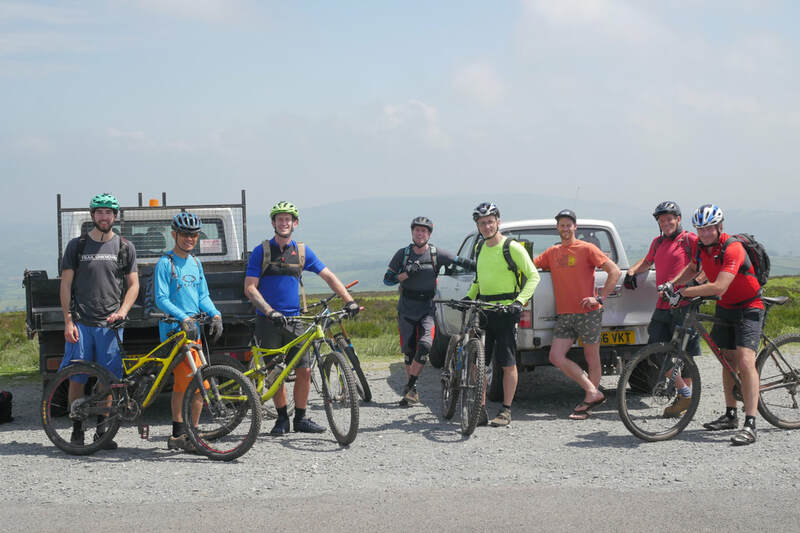 If you want to ride the Preseli ridge it is best to start in the small village of Rosebush taking the bridleway past the old quarry, through Pantmaenog forest and out onto the hills. You can then follow another bridleway obviously marked on an OS map (OL35) east along the full length of the hills towards Crymych. 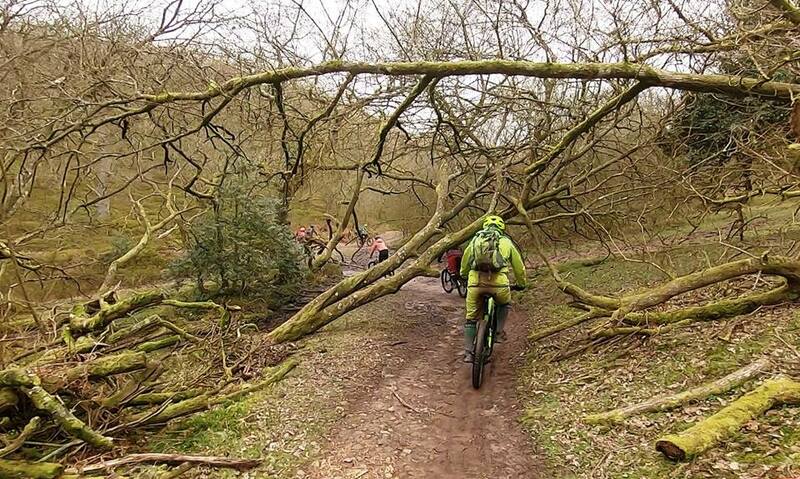 Alternatively for a shorter ride you can turn off at the halfway point. There will be amazing views North across Cardigan bay and up to Snowdonia and one of the spectacular rocky outcrops you pass by is where the stone for Stonehenge came from as I mentioned earlier. 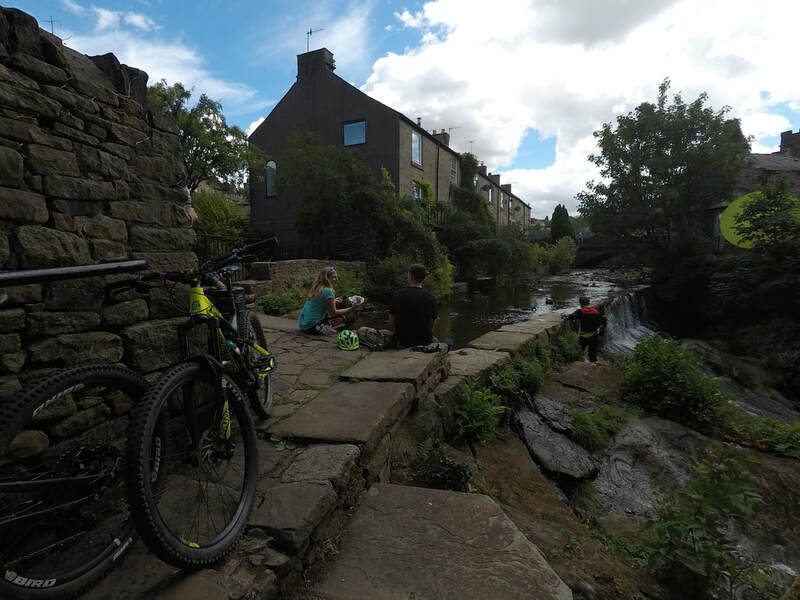 You can then take the small and quiet country lanes back to the start where you can have some food in the small village pub called Tafarn Sinc. 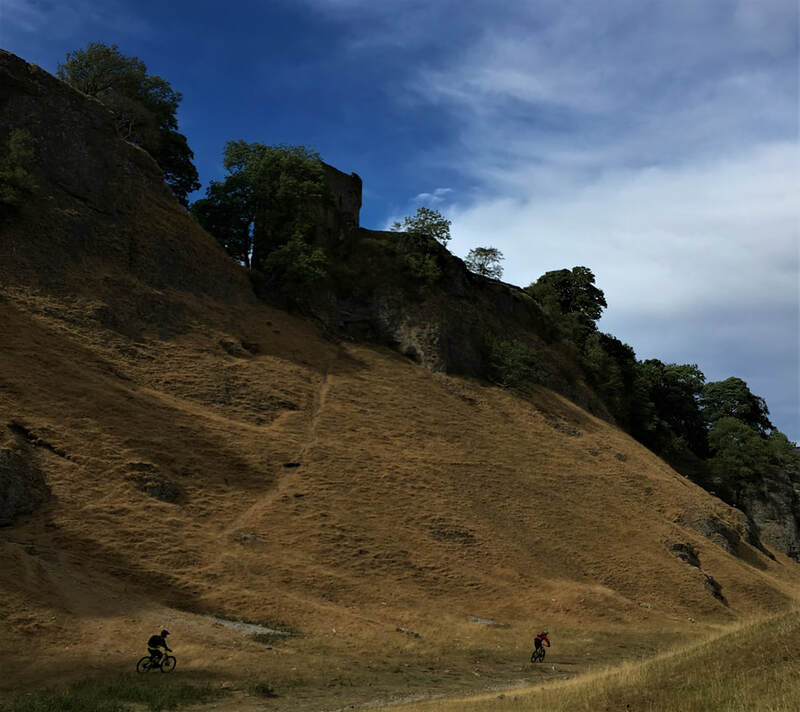 This ride is a total of about 15 miles and is great for any rider with mid level fitness and experience. A huge thank you to Jacob Martin for this awesome article. 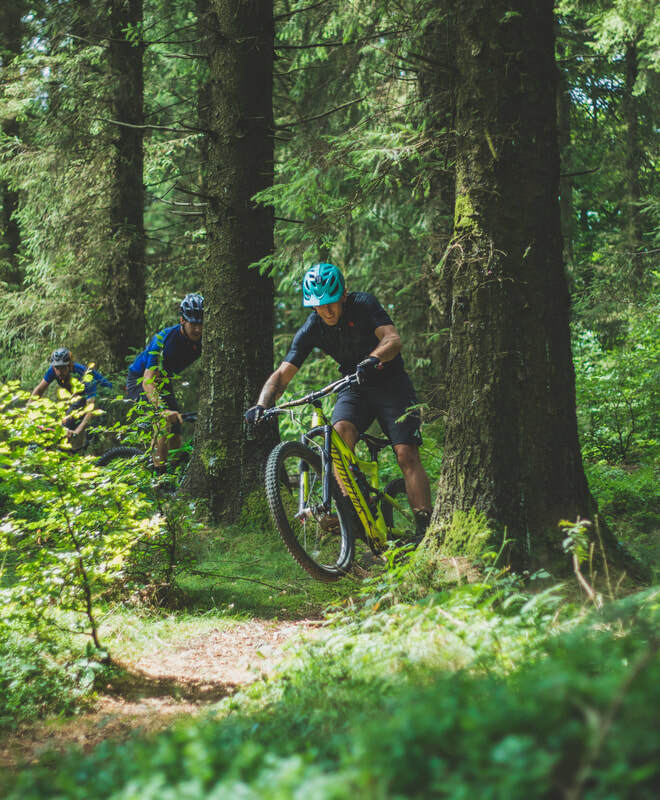 If you'd be interested in a local guided ride, to join one of our upcoming guided weekend adventures or to write an article about your local riding spot, get in touch with Hugo or Tom here.